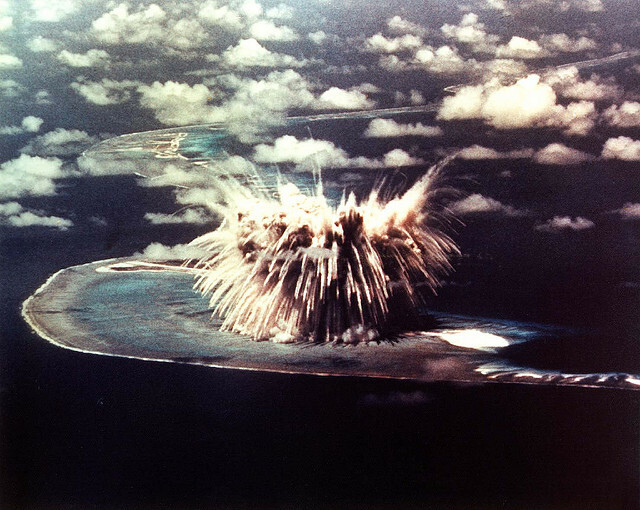 In a recent Strategist piece on the utility of nuclear weapons, Andrew Davies argued that an international treaty banning thermonuclear weapons and limiting yields to the kiloton range could allow nuclear deterrence to hold while avoiding a nuclear winter if it fails. The underpinning logic is that nuclear-weapon states no longer need large-yield warheads to reliably destroy targets because modern nuclear-delivery systems can achieve the same effects with smaller warheads. While the treaty that Davies suggests has two parts, it’s the ban on megaton-yield weapons that I’ll explore in more depth here, as I think we’re actually closer to that end state than many might think. Most nuclear-weapon states have moved away from deploying megaton-yield nuclear warheads in favour of greater numbers of smaller and more accurate lower-yield warheads. As a result, it may not be as politically difficult as many believe to come to some sort of international agreement limiting weapons that few have right now and even fewer will have in the future. To set the stage, it’s worth taking a look at how developments in missile accuracy have gotten us to where we are today. A missile’s accuracy is generally referred to in terms of its circular error probable (CEP)—the radius of a circle, centred on the aim point, in which there is a 50% chance the projectile will land. 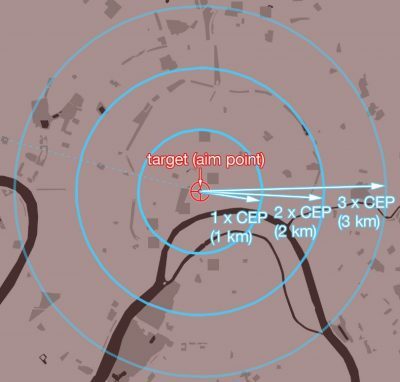 Below is an excellent visual representation of this concept from Alex Wellerstein’s MISSILEMAP blog FAQ (the CEP is 1 km in his example). Early Cold War–era American and Soviet intercontinental ballistic missiles (ICBMs) were notoriously inaccurate. The American Atlas ICBM had a CEP of 1.8 kilometres, while the Soviet R-7 ICBM had a CEP of 5 kilometres. To compensate for their lack of accuracy, they were mounted with 1+ megaton yield warheads so that even if they, pardon the pun, missed by a mile, they could still destroy their targets. As Davies points out, modern strategic nuclear-delivery systems are much more accurate than their predecessors. The missiles that constitute the bulk of the current US strategic nuclear arsenal, the Minuteman III and the Trident D-5LE, have CEPs of 120 metres and 90 metres, respectively. On the Russian side, its new Bulava submarine-launched ballistic missile (SLBMs) is estimated to have a CEP of 250 to 300 metres, and the SS-18 Mod 6 ICBM has a CEP of 500 metres. The increased accuracy has been accompanied by a general reduction in the average yield of individual warheads in arsenals across the world. Only China currently deploys missiles with 1+ megaton yield warheads, the DF-4 and the DF-5A, and the majority of its other warheads are thought to be in 200 to 300 kiloton range. The US now has only one type of nuclear weapon with a maximum yield of more than 1 megaton—the B83-1 gravity bomb, at 1.2 megatons. 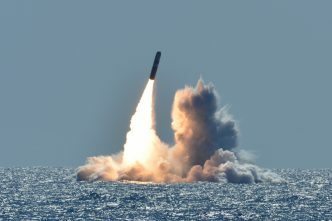 The yields of its Trident and Minuteman III warheads range between 100 and 455 kilotons depending on the variant, while yields on comparable Russian systems range from 100 to 800 kilotons. Similarly, the UK and France both mount warheads with yields of between 100 to 150 kilotons on their SLBMs. So, given that most nuclear-weapon states either no longer deploy or never possessed megaton-yield weapons, a ban on megaton-yield weapons may be more practical and achievable than one might think. Nuclear-weapon states might see it as a way to deter further proliferation and reinforce the nuclear taboo. 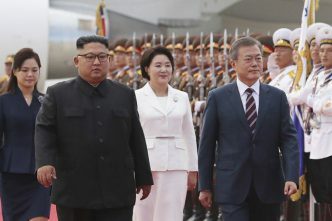 The ban could also serve as a vehicle for them to demonstrate their commitment to arms control and address concerns among non-nuclear states and civil society groups that nuclear powers haven’t been following through on their obligations to work towards disarmament. And even if such a ban is politically untenable, we may end up in a situation where no nuclear power deploys any megaton-yield weapons, even if their possession isn’t banned. While the nuclear-taboo-reinforcing norms might not be as strong as they would be if there were a ban, the effect would be fairly similar: there’d be a slightly lower chance of a civilisation-ending nuclear exchange. Still, hurdles remain. Another reason that warheads now have lower yields is the development of multiple independently targetable re-entry vehicles (MIRVs). MIRVs are highly efficient because a large number of small but focused explosions close to a target has a higher chance of destroying it than one big explosion further away. While a missile today may have lower-yield individual warheads than in the past, each missile remains a potent force capable of destroying multiple targets and killing thousands of people. This problem isn’t a simple one to address; it would require either multilateral arms control treaties that limit the number of deployable warheads—something the New START treaty does—and/or a ban on MIRVs altogether. We should never forget the horror visited upon Hiroshima and Nagasaki more than 70 years ago with weapons just a fraction as powerful as the ones in missile silos and submarines around the world today. We should do everything we can to reduce nuclear dangers around the world and reinvigorate a troubled arms control regime. A ban on megaton-yield nuclear weapons would be a welcome step in the right direction, even if it wouldn’t do much to reduce current nuclear-weapon stockpiles. Christopher Cowan is an independent defence analyst based in Canada. Image courtesy of the US government via the International Campaign to Abolish Nuclear Weapons on Flickr.